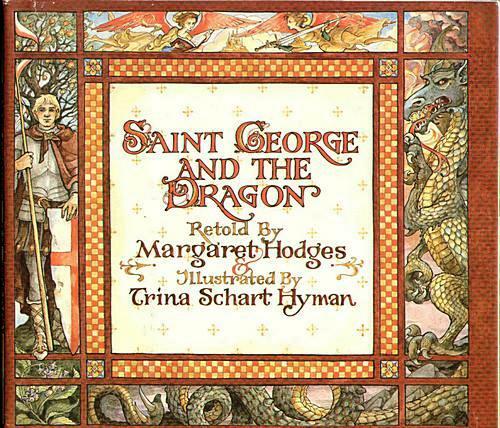 Saint George and the Dragon, retold from Edmund Spenser’s Faerie Queene by Margaret Hodges, and wonderfully illustrated by Trina Schart Hyman. 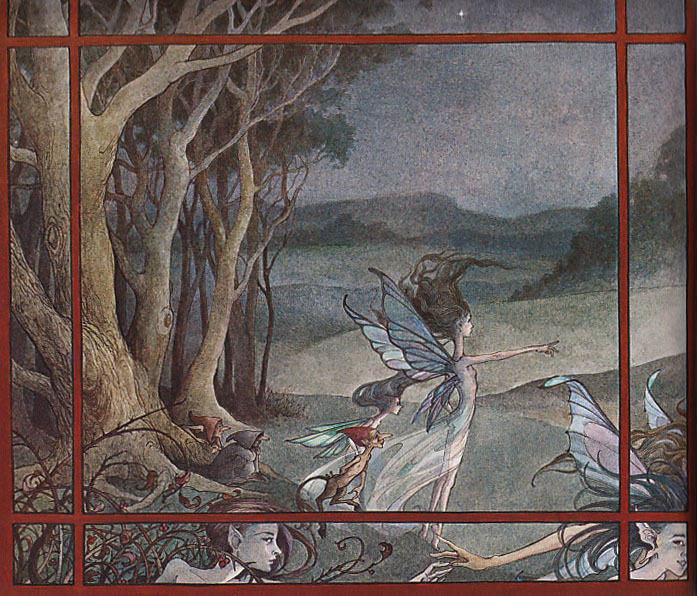 But the true attraction is really the art by Trina Schart Hyman. She gives just enough realism in the landscapes and character models that they have a tangible reality, but her coloring is rich and dark, suggesting the misted layers of an ancient British landscape. The weather is present in her images, whether wind or blue sky, clouds or boiling dragon-smoke. Her Fair Folk are wispy, like they might blow away at any moment, her Red Cross Knight (George) exudes strength and pure-heartedness, and her Princess Una is a vision of loveliness, quiet strength, and deep feeling. The angels she draws in the border frames are ethereal and holy-looking (if one can imagine that), as they sing to God, visit the Faerie Queene’s castle, and look down on the action happening on the page. Her Dragon is as fierce a beast as you could want, both hatred and intelligence blazing from his eyes as fire pours from his nostrils. The battle of the dragon and knight is exciting and well-paced. You really feel the energy that both of them exert, and when after the first day of fighting the Red Cross Knight falls exhausted and wounded to sleep by “an ancient spring of silvery water,” and Una comes up to cover him with a cloak, in the picture you can hear the brook bubbling and the crickets singing as cool nighttime descends. 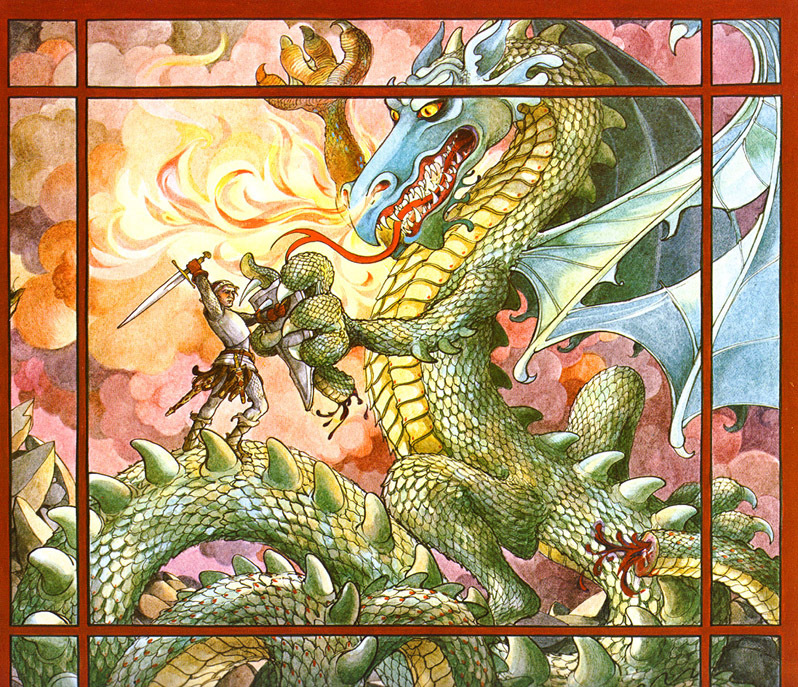 The scenes of victory after the dragon is slain are lush and colorful, much brighter than the previous pages. They’re beautiful to look at, and there are little treasures to discover in the corners and along the borders. 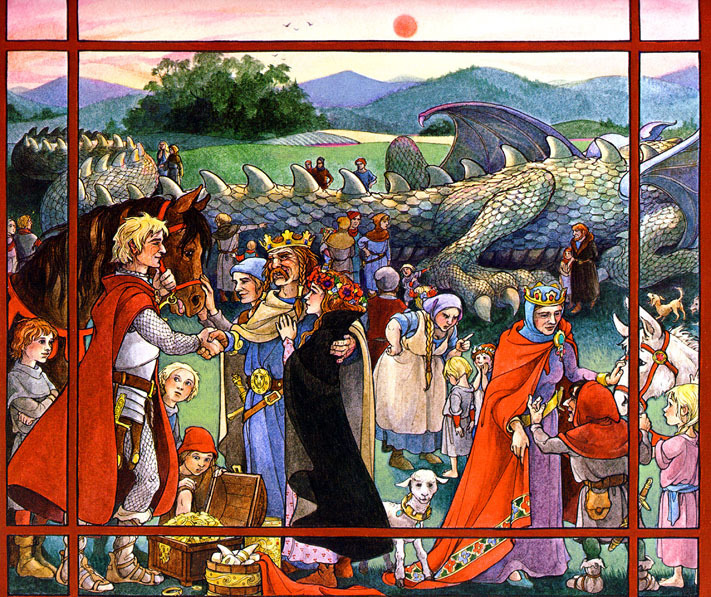 In one instance, the Dragon’s tail spills out of its frame and onto the following page, coiling around the top corner and threatening the border art. It’s a fairy tale given the breath of life. I don’t remember when I first got this book. It has been a part of my library since as long as I can remember, and I’ve never stopped rereading it. 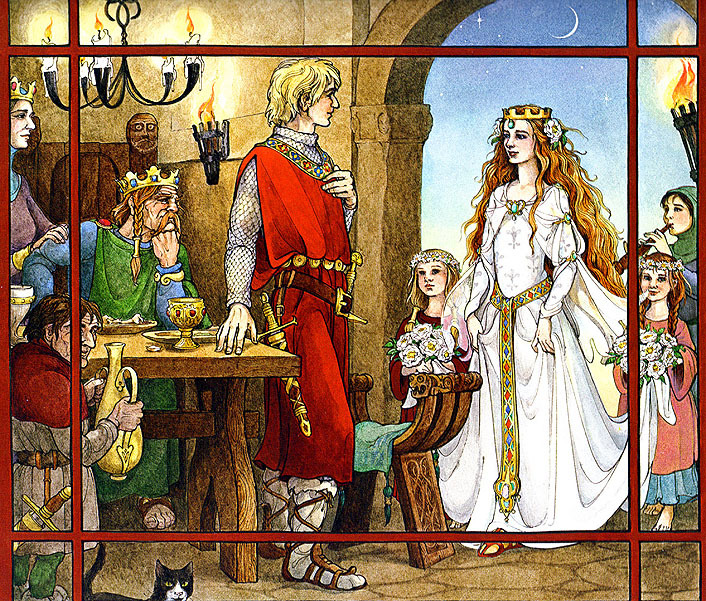 The story is beautiful, the artwork matches it beat for beat, and for any child it is an introduction not only to knights and chivalry, but also to Edmund Spenser’s classic English epic.